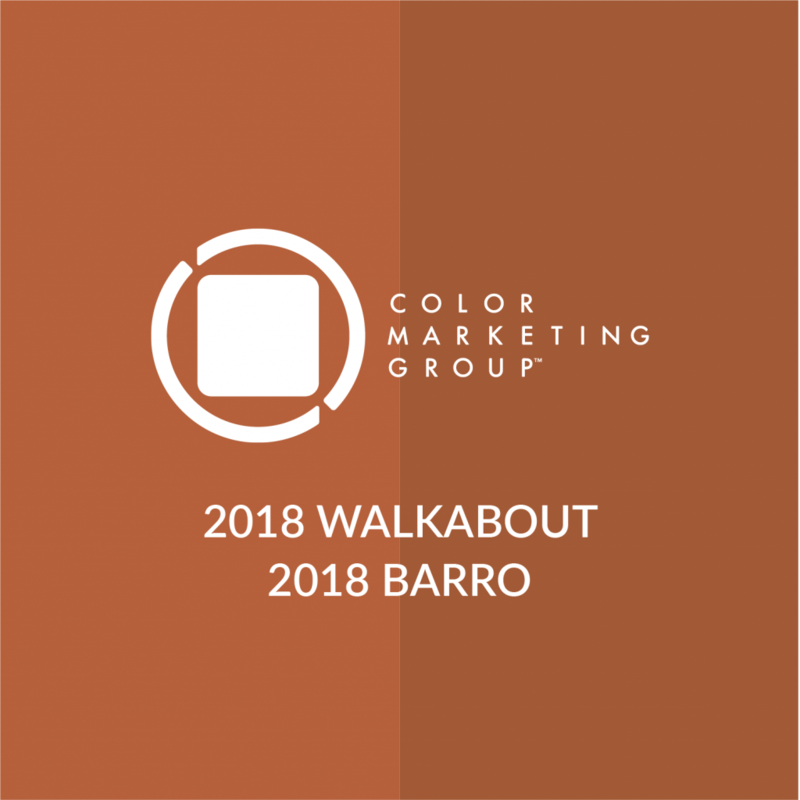 Color Marketing Group® (CMG) announces Barro and Walkabout as the forecasted October Color Alert® colors, appearing now on the world stage. Shake off the frivolity; the trend for orange is earthy, sultry, deep, and serious. This new trend direction for orange is occurring around the corner and around the globe! Whether they arouse consideration of the planet, inspire a pigment, or simply want to express maturity, Barro and Walkabout are ready to embrace any and all inspirations and products. Experience and download the full October Color Alert color forecast!